This weeks Photo Wednesday was taken in the Seoul Olympic Park in the Jamsil Area. 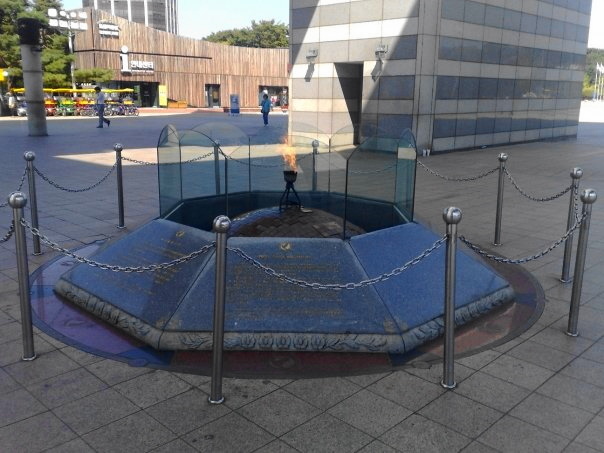 The photo is of the Olympic Flame still burning brightly all of these years since the Seoul Summer Olympics back in 1988. It’s a nice piece of history to come across it what is a under used park. Last weeks Photo Wednesday “Cute Little Insadong Side Street” Please Click Here.